The Tibetan Children’s Education Foundation (TCEF) is a nonprofit corporation founded in 1995, dedicated to the preservation of Tibetan culture by educating and assisting Tibetans, raising awareness of its culture, and by empowering Tibetans to manifest these goals. TCEF began in the State of Montana, USA, which many of our Tibetan friends say reminds them of Tibet. TCEF was chartered by a group of Montanans, all of whose lives have been enriched in some degree by the Tibetans, their religion or culture. By helping to keep that culture and its people alive and well-educated we hope to return some of the blessings we have received. TCEF is dedicated to help preserve the endangered Tibetan culture. With each passing year, Tibet and the issue of Tibet fades that just much away from people’s consciousness. We believe the best way we can help preserve Tibetan culture is by facilitating and providing platforms for Tibetans to share their unique culture with the people in the West, thereby educating and raising awareness of it. Our overall goal is to keep the Tibetan people and their culture fresh in people’s consciousness. We achieve this by touring the country celebrating and speaking on all things Tibetan, inviting Tibetan artists into the country for exhibitions and demonstrations and by organizing a series of Tibetan events here in Montana. By helping to share the best of Tibetan culture, we also benefit individuals and communities here in Montana, the Northwest and other parts of the US. Our cultural tours bring a unique and endangered art and culture into the lives of thousands. Apart from viewing quality Tibetan art, interested audiences here have opportunities to interact directly with visiting artists and learn more about this unique culture now facing extinction. TCEF is also committed to doing all that it can to help Tibetan children’s education in exile. Towards these aims, we help to establish education centers for Tibetan children, run a sponsorship program and implement special projects that can make a difference for the education of Tibetans in exile. We helped to found Kyitsel-ling Tibetan Children’s Education Center at Clement Town, N India that has been successfully helping Tibetan children for the last 16 years. Recently, in collaboration with the Tibetan Refugee Aid Society (TRAS), Canada, we helped to add a third floor to the Sukhavati Educational Hostel in Pademchen, Sikkim. 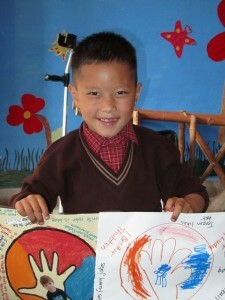 TCEF’s sponsorship program connects a needy Tibetan child with an interested sponsor here. This has been our most successful education program and we’ve helped hundreds of Tibetan children through this program. We also work to provide key teaching learning tools like computers. In the years ahead, we’d like to collaborate with Tibetan authorities in exile to help with key projects that Tibetan themselves have identified as being vital and necessary. The preservation of Tibetan culture and the education of children in exile are TCEF’s prime focus. 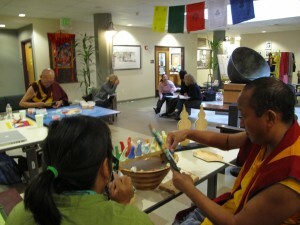 In addition, TCEF also endeavors to serve Tibetans in any way that it can. We’ve started a sponsorship program to benefit needy Tibetans. In Sikkim, we run a program to feed the monks of a monastery and we do an annual service trip whose primary goal is to do seva or good works for Tibetans in exile. 1. To fulfill the Mahayana Buddhist tradition and motivation of gaining benefit for all sentient beings. 2. To support, endorse, fund, fund-raise and otherwise assist Tibetan and other children-in-need as well as adults-in-need in securing worthwhile, quality education, anywhere in the world. 3. To raise funds, conduct research, produce publications, and organize conferences and courses consistent with the foregoing objectives. 4. To provide and promote other charitable and social services, including medical, rehabilitation, educational, and counseling services. Tibetan Children’s Education Foundation is a charitable educational corporation under the nonprofit laws of the State of Montana, United States of America. TCEF exists exclusively for charitable and educational purposes as a public charity under Sections 501(c)(3) and 509(a)(2) & (a)(3) of the United States Internal Revenue Code of 1986. TCEF’s charitable tax exempt status was recognized by letter from the United States Internal Revenue Service on June 4, 1997. The corporation was chartered by the State of Montana on December 22, 1995. A copy of our tax filings can be requested.